Here is the place to get plain hair clips, hair bands, earrings, and rings. 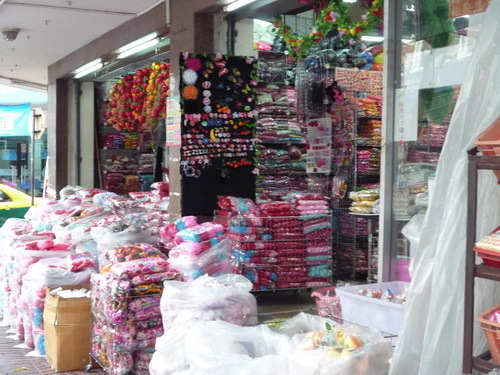 They have tons of decorations to make your own hair accessories, also decorations for clothes, shoes, and purses, and supplies to make nylon flowers. It’s near the Ratchawong Pier in Chinatown, Bangkok. Hours are 6:00 am to 4:00 pm daily. Except for half day on Sunday. 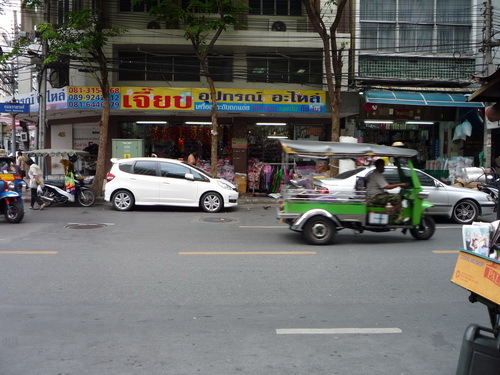 They also have a branch at Pratunam on Soi Petchaburi 19. It looks really nice. 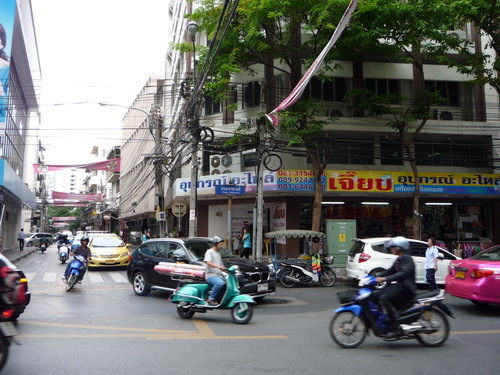 The shop is on the corner of Anuwong and Ratchawong Roads near the Ratchawong Pier.